West Virginia Democratic Sen. Joe Manchin has withdrawn his support for a federal energy regulator nominee as he faces immense scrutiny from his party’s environmental base. A Senate procedural vote Wednesday to confirm Robert McNamee to the Federal Energy Regulatory Commission (FERC) fell along party lines, 50-49. Despite being a Democrat, Manchin’s vote again McNamee was unexpected. The West Virginia lawmaker — who has been largely supportive of President Donald Trump’s energy agenda — had voted to pass McNamee through the Energy and Natural Resources Committee two weeks ago. Manchin cited recently unearthed video that showed McNamee trashing renewable energy and questioning the legitimacy of climate change. However, Manchin voted in committee to advance McNamee on Nov. 27 — about a week after the video resurfaced and made headlines. Manchin’s reversal comes as environmental groups are voicing their opposition to him becoming the ranking member of the Energy and Natural Resources Committee, arguing that his pro-coal stance and support for the Trump administration’s energy agenda makes him unfit to lead Democrats on the powerful committee. Even members of his own party have questioned the move. 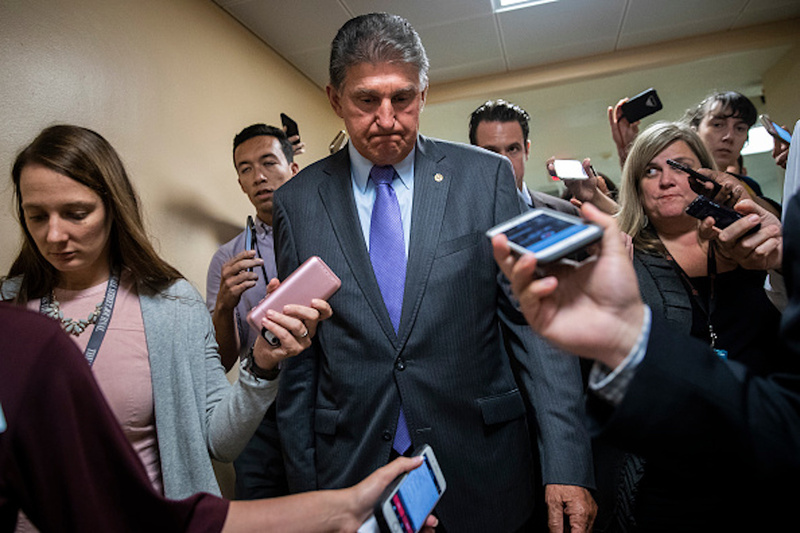 Manchin’s last-minute pivot to the left may not be enough to win environmentalists over. McNamee’s final Senate vote will take place Thursday, where he is expected to be confirmed with GOP support.